Newspaperman Eugene Field was born in Missouri. His father, an attorney, successfully defended Dred Scott, a fugitive slave. Field’s mother died when he was six. He and his younger brother grew up in Amherst, Massachusetts, cared for by a paternal cousin. Field was the father of eight children. He worked for the St. Louis Evening Journal, St. Joseph Gazette, St. Louis Times-Journal, and the Kansas City Times. He wrote a column for the Chicago Morning News until his death. On the one hand a sharp satirist, on the other Field wrote sentimental verse. He is best known for “Little Boy Blue” (1888), a poem memorized by thousands of school children for many decades. 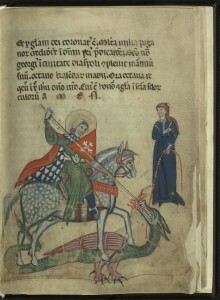 He published several books of verse, some specifically about childhood. 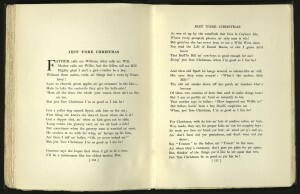 With Trumpet and Drum (1892), included “Wynken, Blynken and Nod” and lullabies, legends, and folk songs from different countries, a study of particular interest to him. Love-Songs of Childhood (1894) included “The Gingham Dog and the Calico Cat.” Field, a bibliophile, collected rare and unusual books of beauty. 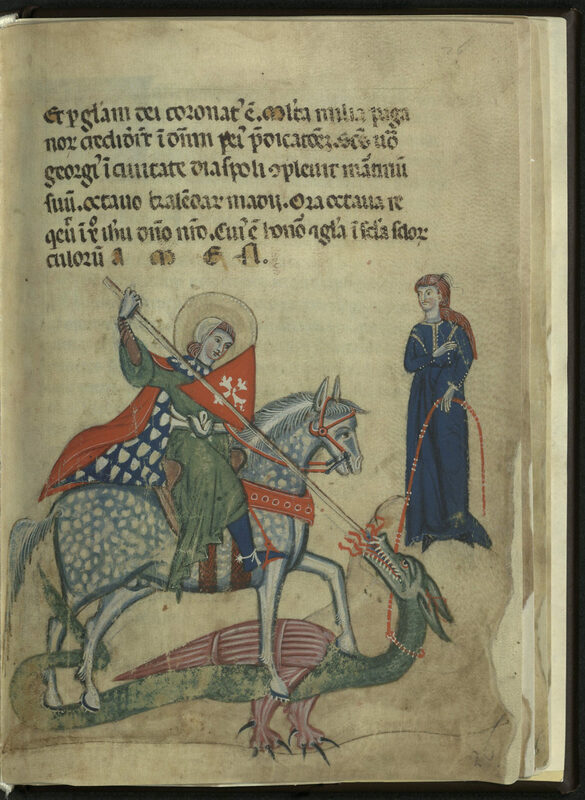 He also made his own books, often rubricating the first initial of a poem with various color inks. 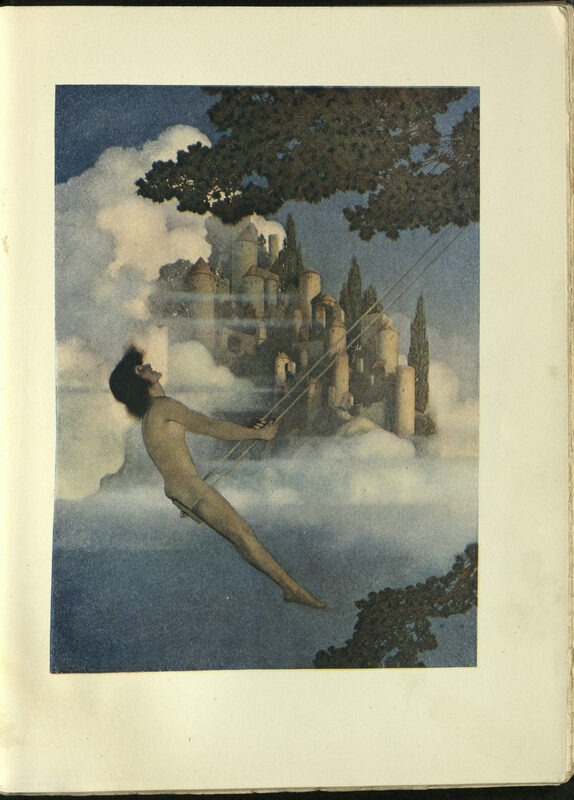 Much of his published work was illustrated by Maxfield Parrish, including this popular collection of his poetry. The old car carrying the parents and their three stairstep children was headed south, down the highway from San Francisco. No destination. No money. The hand-lettered sign stood in front of an orchard near San Leandro. Fruit Pickers Wanted. The dad pulled into the yard and knocked at the house door. Three children? They’ll stay out of the way. There’s a house you can use. We piled out of the car. With broom and mop and rags the parents soon had the corners of the two-room house swept, the worn linoleum clean, the gas-burner stove sanitary. The mother told the orchard owner, Mr. Sarmento, that she had no money for food. He gave her an advance on fruit picker pay. She loaded up on staples. A roof! Food money! In an exuberance of relief, she made pies from peaches gleaned from beneath a nearby tree and gave one pie to the Sarmentos. After the fruit was picked, the Sarmentos found more work around the orchard for the parents. For the three kids, it was an idyllic time. The oldest daughter spent much of it perched in a big old tree behind the Sarmento house, reading the few books salvaged in an earlier hegira from Los Angeles. 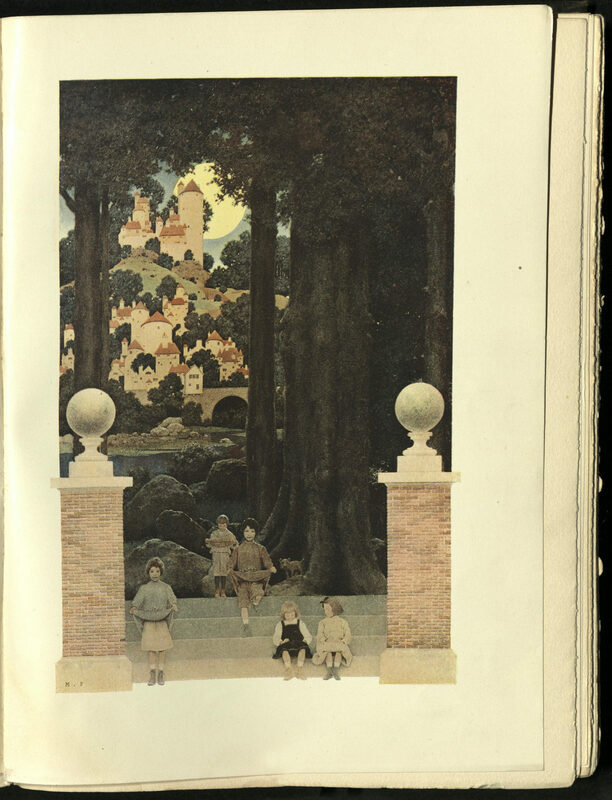 The big, beautiful books were presents from The Aunt Who Always Gave Books, Aunt Fannie Smith, in Dallas.One of them was the 1904 edition (still going in 1932) of Eugene Field’s Poems of Childhood with illustrations by Maxfield Parrish. Even at eight years old, this daughter knew that most of the poems were a mediocre mishmash. Mostly she immersed her mind in the Maxfield Parrish pictures that transported her so far from drab surroundings. 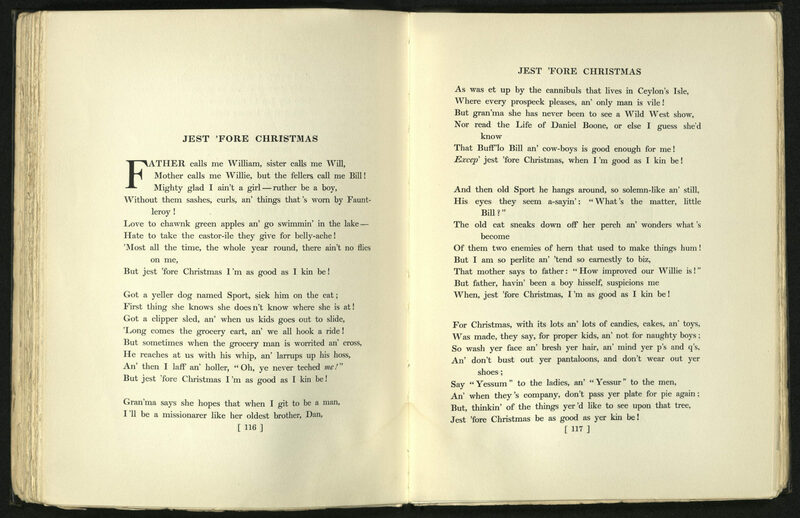 But there was an old faithful, “Just Fore Christmas.” How often she’d heard her Daddy Bill recite that! Over in Texas, the boy who would grow up to marry her would memorize it, too. He got an American Legion medal for making the best grades of any elementary school kid in Pecos. He blew the last lines in reciting “Little Boy Blue” but he was a hero, anyway. The girl’s family left the Sarmento orchard behind and went on to other Depression Day adventures. Books and other treasures were left behind or lost in unpaid storage. Fast forward to the late 1980’s, in Placitas. From one of those bookfind places, the aging Depression child was able to buy, for $35, a battered copy of the memory-laden old book. 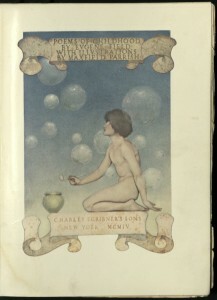 And this year, Scribner’s reissued Poems of Childhood. The Maxfield Parrish illustrations look true to the original. Now the next generation (and the next) can wince at the poems and marvel at the illustrations.